Draft: 2010, Kansas City Royals, 5th rd. Full name is Jason Kendall Adam...Graduated from Blue Valley Northwest High School in Overland Park, Kan....named honorable mention Rawlings Preseason All-America in 2010...Earned first-team All-State honors in Class 6A as a senior, going 4-3 with a 1.51 ERA and 79 strikeouts in 41.2 IP...Turned down a scholarship offer from the University of Missouri to sign with the Royals...Older sister, Kari, lettered in soccer at Missouri. League in strikeouts (123) and sixth in ERA (3.53)...Rated by Baseball America as Kansas City's eighth-best prospect entering the 2012 season and 10th-best entering 2013. Jason enters the 2014 season rated as the ninth-best prospect in the Royals organization by Baseball America...Spent the entire season at Northwest Arkansas (AA)...ranked third in the Texas League in strikeouts (126), tied for fifth in starts (26) and ranked sixth in innings pitched (144.0)...Dropped his first seven decisions, but went 8-4 with a 4.22 ERA (43 ER in 91.2 IP) after June 1...finished strong, going 4-1 with a 2.70 ERA (12 ER in 40.0 IP) in his final seven starts...Made seven starts for the Peoria Javelinas in the Arizona Fall League. Inbox: How many position players will KC carry? April 7, 2019 Buffalo Bisons placed RHP Jason Adam on the 7-day injured list retroactive to April 5, 2019. March 20, 2019 RHP Jason Adam assigned to Buffalo Bisons. March 17, 2019 Kansas City Royals traded RHP Jason Adam to Toronto Blue Jays for cash. December 17, 2018 Kansas City Royals signed free agent RHP Jason Adam to a minor league contract and invited him to spring training. December 17, 2018 RHP Jason Adam assigned to Omaha Storm Chasers. November 30, 2018 RHP Jason Adam elected free agency. October 2, 2018 Kansas City Royals recalled RHP Jason Adam from Omaha Storm Chasers. August 18, 2018 Kansas City Royals optioned RHP Jason Adam to Omaha Storm Chasers. July 11, 2018 Kansas City Royals recalled Jason Adam from Omaha Storm Chasers. July 10, 2018 Kansas City Royals optioned RHP Jason Adam to Omaha Storm Chasers. June 27, 2018 Kansas City Royals recalled Jason Adam from Omaha Storm Chasers. June 24, 2018 Omaha Storm Chasers placed RHP Jason Adam on the temporarily inactive list. June 15, 2018 Kansas City Royals optioned RHP Jason Adam to Omaha Storm Chasers. May 4, 2018 Kansas City Royals selected the contract of Jason Adam from Omaha Storm Chasers. April 24, 2018 RHP Jason Adam assigned to Omaha Storm Chasers from Northwest Arkansas Naturals. April 1, 2018 RHP Jason Adam assigned to Northwest Arkansas Naturals from Omaha Storm Chasers. March 26, 2018 RHP Jason Adam assigned to Omaha Storm Chasers from Northwest Arkansas Naturals. February 26, 2018 RHP Jason Adam assigned to Kansas City Royals. August 18, 2017 Kansas City Royals signed free agent RHP Jason Adam to a minor league contract. August 18, 2017 RHP Jason Adam assigned to Northwest Arkansas Naturals. August 14, 2017 San Antonio Missions released RHP Jason Adam. August 10, 2017 San Antonio Missions activated RHP Jason Adam from the 7-day disabled list. July 28, 2017 San Antonio Missions sent RHP Jason Adam on a rehab assignment to AZL Padres. July 20, 2017 San Diego Padres signed free agent RHP Jason Adam to a minor league contract. July 20, 2017 RHP Jason Adam assigned to San Antonio Missions. July 20, 2017 San Antonio Missions sent RHP Jason Adam on a rehab assignment to AZL Padres 2. November 7, 2016 RHP Jason Adam elected free agency. September 30, 2016 Chattanooga Lookouts activated RHP Jason Adam from the 7-day disabled list. April 7, 2016 Chattanooga Lookouts placed RHP Jason Adam on the 7-day disabled list. September 24, 2015 Chattanooga Lookouts activated RHP Jason Adam from the 7-day disabled list. April 9, 2015 Chattanooga Lookouts placed RHP Jason Adam on the 7-day disabled list. August 13, 2014 Jason Adam assigned to New Britain Rock Cats. July 17, 2014 RHP Jason Adam assigned to Omaha Storm Chasers from Northwest Arkansas Naturals. January 9, 2014 Kansas City Royals invited non-roster RHP Jason Adam to spring training. 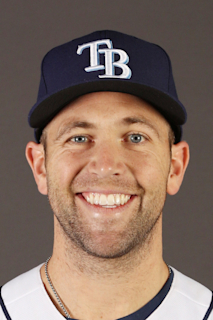 March 29, 2013 RHP Jason Adam assigned to Northwest Arkansas Naturals from Wilmington Blue Rocks. April 2, 2012 Jason Adam assigned to Wilmington Blue Rocks. August 16, 2010 Kansas City Royals signed RHP Jason Adam.